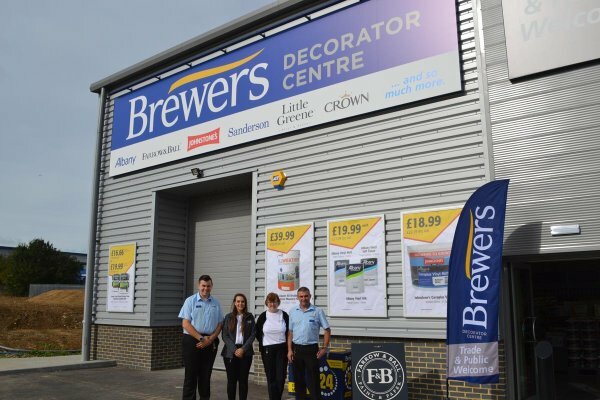 Positioned on the new White Cliffs Business Park, just off the A2, the new Dover Brewers store is perfectly located for the busy decorator or homeowner looking for some interior inspiration. The store stocks all the main trade paint and designer brands including Albany, Crown, Dulux, Johnstone’s, Farrow & Ball, Little Greene and Zinsser covering every colour of the rainbow! Also offering an extensive selection of wallpapers, curtains and fabric plus a bespoke made to measure curtain and blind service, the store is ready to assist with all your decorating needs. Kevin Southern, store manager, has been with Brewers for almost a decade and will now be serving the decorators of Dover, Deal, Sandwich, Whitfield and surrounding areas. As you'd expect, Kevin and his team have a vast range of knowledge both of decorating and the local area to help advise and guide their customers to the right product for the job in hand, no matter how big or small. 1. Travelling south on the Deal Road take the third exit on the roundabout onto the A2. 2. Take the next exit to the new Honeywood Trade Park – you should have Lidl on your right. 3. 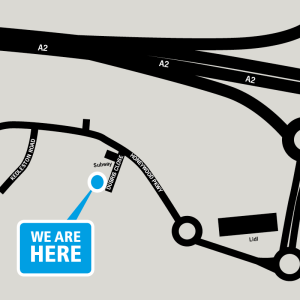 Follow the trade park round until you see Subway, and then you can’t miss the branch, we’re two doors along with lots of parking for your convenience!